Faizan, a multi-talented individual, is definitely one of the best student researchers with work in the fields of cyber security, machine learning, artificial intelligence, and data sciences. Faizan started to take interest in computer and security related fields when he got his first computer in 7th grade. One of his uncles, who lived abroad, introduced Faizan to the field of Cyber Security. 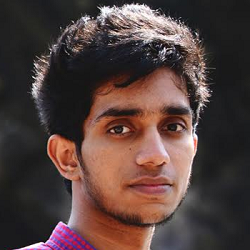 He fell in love with the Computers and the field after his first interaction and thus he braced his mind to follow computer science in his future studies. 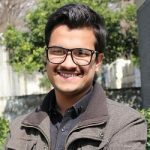 Bound by hard-work and the love of computer sciences, Faizan made it to the FAST university,which is one of the best institutions for Computer Science in Pakistan. After first semester, he started working in his dream field, Cyber Security. He started reading books, watching tutorials, reading blogs and everything that he could find related to cyber security. At the same time, he knew that if he wanted to pursue higher studies and conduct research in the field of cyber-security, he must never compromise his studies. So, he maintained his focus. At the same time, Artificial Intelligence also fascinated him. One of his teachers introduced him to a professor from LUMS who had been doing research on Artificial Intelligence. AI and Cyber Security seemed a good amalgam to Faizan, something that was rarely done before. With the help of professor, he started taking courses on Artificial Intelligence. Alongside he kept on doing projects and self experiments with stuff, both AI and Cyber Security, posting them on his website for free. He wanted to tackle the dearth of tech related guidance in Pakistan. He believed that insufficient guidance was the only thing that had stopped him from achieving many things during his childhood. Faizan has many achievements to his name. As a security researcher, he has found vulnerabilities in leading tech companies including Microsoft, Apple, Google, United Airlines, Dell, hp, IBM, NASA, MIT, and Stanford. He has received appreciation from the head of Webspam team at Google, Matt Cutts, for a guide that he wrote on his website. 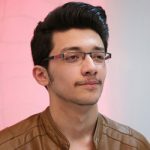 His writings have also made it to several websites including ComputerWorld, an internationally renowned computer blog, and the leading cyber security news forum, Hacker News. He has done many Machine Learning projects as well, including a robot that can teach hacking. In future, Faizan aims for advanced education and meaningful research.